🍺 New York City students: Take a study break tomorrow night and stop by Amity Hall for an Axios Happy Hour, including free drinks, snacks and a conversation about the future of news. RSVP here. Canadian cannabis company Cronos last night confirmed it's in talks to receive an investment from Altria Group, the Marlboro cigarettes maker that is also seeking an equity stake in American vaping giant Juul. Why it matters: Sin industries are consolidating. Altria wants to create a one-stop shop for legal, inhaled narcotics. If you're allowed to smoke it, Altria wants to sell it to you. These minority investment efforts feel like toeholds for future acquisition. 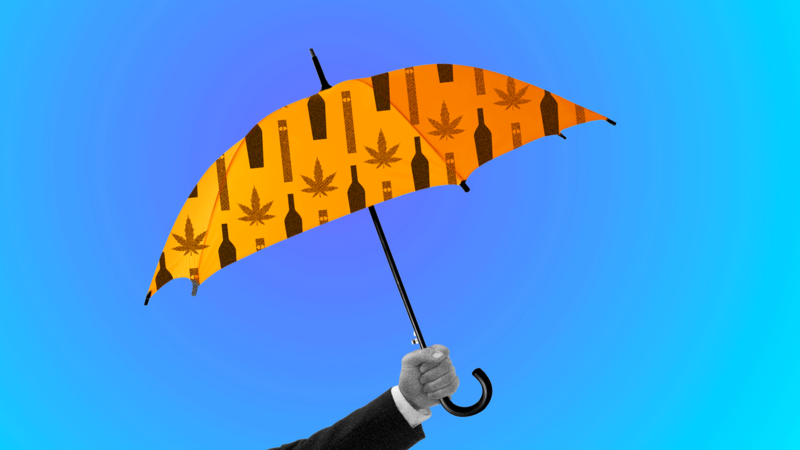 Alcohol and beer companies have also been pushing hard into cannabis, including Constellation Brands recently investing $4 billion in Canopy Growth. These deals have been largely around the idea of cannabis-infused beverages, but the ultimate result could be single companies with overlapping product lines that also maintain "original" verticals. Cannabis may be the glue that ultimately leads to mergers between big alcohol and big tobacco — two industries that previously worked together on shared regulatory goals and which also once had lots of common ownership (e.g., Philip Morris owning Miller Brewing from 1969-2002). LPs are concerned about middle-market purchase price multiples in both North America and Europe. This is notable, as such worries usually focused exclusively on larger deals. UK fundraising has remained strong, but only because of interest from North American and Asian investors. European LPs have soured due to Brexit. Interest is down for emerging markets. It's up for sector-specific funds, most notably healthcare and tech, and for venture capital. 🌏 Where in the World? Pre-dawn greetings from Half Moon Bay, where later this morning I'll interview Third Love co-CEO Heidi Zak and 23andMe CEO Anne Wojcicki. Look forward to seeing some of you. 🎧 Podcast: Our new episode focuses on the tentative trade truce between the U.S. and China, which I discuss with Axios' Felix Salmon. Listen here. L2 Capital Partners and Lakewood Capital acquired Orion Talent, a Cary, N.C.-based HR management platform focused on hiring military veterans. Why it's the BFD: Because it can be difficult for some military veterans to find civilian work after retiring or being discharged, due to factors like mismatched skills and employer concerns about redeployment. Go deeper. • Arbor Investments completed its purchase of the private-label pet foods business of Mars Petcare, which will be renamed Red Collar Pet Foods. • Jina Choi is stepping down as head of the SEC's San Francisco office, which she has led since 2013. • Richard Yen has stepped down as a managing director with Saban Capital Group, where he had worked for 10 years. Europe's tech workforce is growing 4% annually, compared to EU estimates of overall employment growth of just 1.1% in 2018. 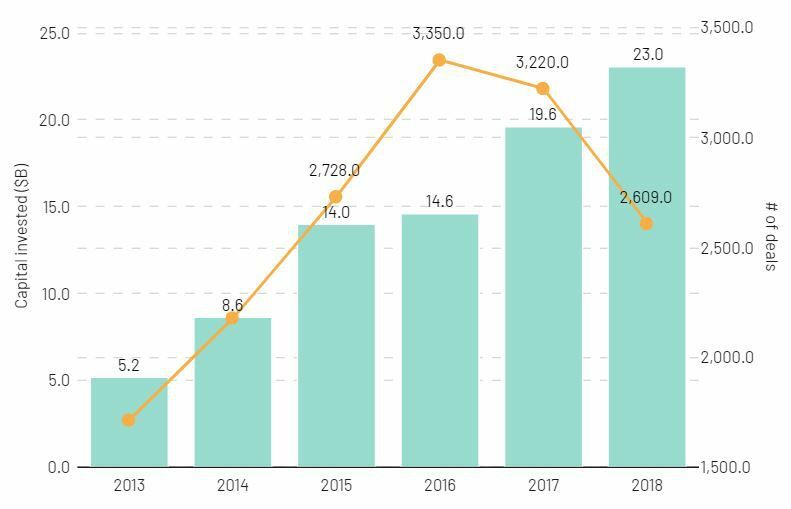 Only 2.2% of Europe's VC funds have been committed by pensions over the past five years, although the figure jumps to 16% in the Nordics. Nearly 90% of respondents to a survey said that having a diverse team benefits company performance, but Atomico found only one female CTO out of 175 working at European tech companies that raised a Series A or Series B round in the past year. And, over the past five years, only 2% of funded European tech startups have had female founders (another 5% have gender-mixed founding teams).